Did you fall in love with Tigers? 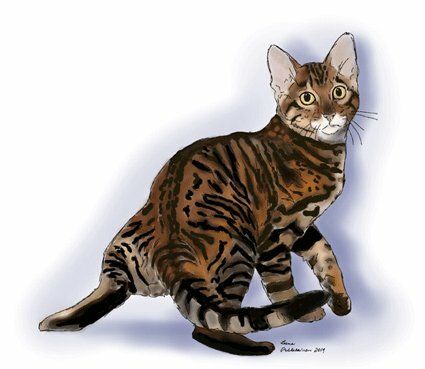 Looking for Toyger breeders? This page is for them to let us know about their catteries. This tiny tiger lookalike is a rare breed indeed. Be prepared for a long wait, if you wish to have yourself a Toyger. They are worth the wait, though. Despite their wild looks they are very tame and lovable, true family members. Their striking coat is so beautiful you will never stop admiring it. Still, check that the breeder is known to local cat associations, and is not selling any tabby cat as a Toyger (if you smell a kitten mill, run to the opposite direction). Check out the breed characteristics so that you know what a Toyger looks like. This is still a breed in progress - there are some variations to the looks for the simple fact the breed has not been there for long. But all breeders strive for beautiful, healthy cats, if they are respectable breeders. Because of this is a new breed, the breeders can be quite passionate about the looks of the cat, and have strong opinions about where the breed should be going. Not all breeders agree with each other, but then again - time will show just how beautiful this cat will be. And the most important thing is to have a healthy addition to your family. The kittens must be old enough, vaccinated and spayed / neutered. (And they will be, if you are searching for a pet Toyger and not a cat for breeding purposes). You must get proper paperwork for your cat - do not buy a kitten without papers. Also if at all possible, as is the case with any cat you are considering as your family member, try to check out that the kittens are used to humans - handled often by people, and not raised in a cage somewhere. Be prepared for some questions, if you contact a breeder and ask for a Toyger kitten - they want to be certain the cats go to good forever homes. 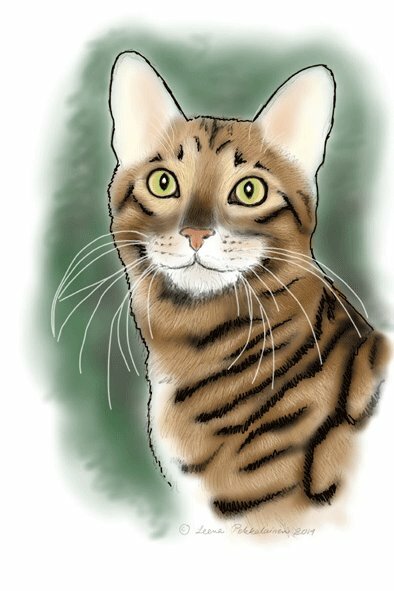 If you are a Toyger breeder, and wish to tell about yourself, you can fill in the form at the end of this page. Your cattery will be added according to location to the list below. Do you breed Toygers? Tell us about your cattery! Are you a responsible Toyger breeder? If so, let us know about you. Answer the questions below and add up to four pictures of your beloved Toygers. You will be building a real page about your cattery on this site. Include your link - I shall check your site (to avoid spam and to check you have a real Toyger cattery) and then put your page live on cat-breeds-info.com. Then I shall add a link to the list of Toyger breeders (above) which will direct the reader to the page you build using this form. I shall also put your cattery link live on your page for the visitors to click. - Other relevant information (but no other ads - this is for cat breeders links only).